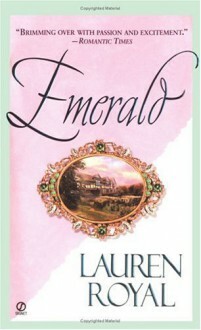 Lauren Royal's sparkling debut, Amethyst, introduced the Chases, one of the most engaging families to appear in romance fiction. Now she presents the passionate adventure of Jason Chase, the Marquess of Cainewood.... Praise for Amethyst:"Wonderful...captures all the pageantry, excitement, and color that was Restoration England. "-Romantic Times "An accomplished debut! "-Patricia Gaffney, New York Times bestselling author of The Saving Graces• 2nd in the dazzling jewel trilogy!